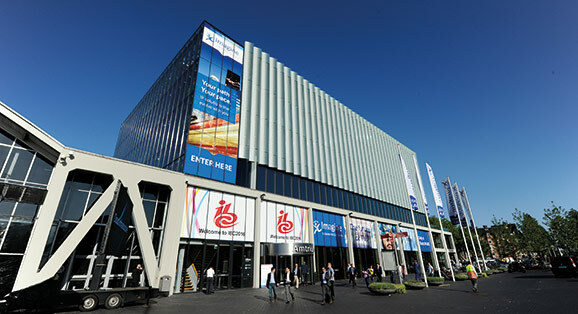 IBC, the world’s leading media, entertainment and technology show, celebrates its 50th anniversary this year. While the broadcast landscape has been transformed in that time, the show still seeks to be the leading global forum where the real issues of the industry are discussed and new strategies developed. Back in 1967 the founders of IBC knew that to be a success the event had to have three strands: a comprehensive exhibition, a visionary conference, and the networking opportunities to share ideas. 50 years on we have a huge amount to talk about: from Ultra HD to 5G connectivity; from IP to cyber security. And IBC is still the best place to do that. This year’s conference is subtitled Truth, Trust and Transformation, and has five tracks running over five days. Session topics range from the deeply technical, like new codec design, to the topical and strategic, like ‘fake news’. Broadcasters have traditionally been the trusted brand for news: is the era of social media and universal internet access changing that? It is a critical topic to debate at IBC, because the industry’s response to it is central to its future, commercially as well as technically. Our conference theme has resonances in other ways than the obvious, too. One of the challenges of the transition to IP connectivity is the risk that the media industry will become a major target for malware and hackers. As the transport platform becomes more open, the more we need to focus on cyber security and the intrinsic design of safe, secure systems. The other keynote sessions also provide a broad view of where we are as an industry. Dan Danker, Product Director at Facebook and Jørgen Madsen Lindemann, President & CEO at Modern Times Group will explore how the rise of fan and friend power in the media ecosystem is driving new approaches to broadcasting, as well as paving the way for new partnerships and funding models. The Technology Forward Keynote, ‘What's Happening in VR, AR and Mixed Reality’, is delivered by Rikard Steiber, President, Viveport and SVP Virtual Reality, HTC, who will look at the emerging swathe of consumer devices and services, as well as showcasing successful VR experiences across platforms. 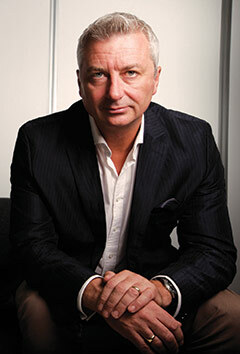 Just as the industry keeps moving, so IBC continues to evolve. New features this year include the IBC Startup Forum, which aims to help new companies find a place in our community, matching the bright ideas and innovations with investors that can help make them a reality. Working with a specialist agency, Media Honeypot, we will bring together startup and scaleup businesses, investors and media houses, with a Deal Room as well as networking areas, a seminar programme and a pitching competition. Also new this year is the C-Tech Summit: two days of specialist presentations and debates, presented on the same behind-closed-doors basis as the Leaders’ Summit. The event will provide technological debate at a strategic level, aiming to help C-level executives understand the implications for business transformation. Friday’s session will discuss the critical issue of cyber security, while on Saturday it will be the possibilities of 5G and persistent, universal high speed connectivity. We have also added the biggest temporary structure we have ever built for an IBC to house Hall 14, dedicated to Content Everywhere. This area combines a curated exhibition with a Hub Theatre and other features specifically designed to help visitors expand their knowledge and understanding of the latest trends, strategies and developments in online TV and video. In addition we will present the IP Showcase. IP is no longer ‘the future’ - real-time IP for production, playout and contribution is a practical, flexible, efficient reality that is rapidly taking hold in mainstream broadcast operations. The IP Showcase will offer demonstrations, real-world scenarios and education sessions, showing the full potential of IP workflows. There will be many opportunities around the show for visitors to immerse themselves in cutting edge technologies and learn about the accelerating trends that are enhancing, customising or otherwise transforming the user experience (UX). The Business Transformation conference session entitled ‘Broadcast is about to be transformed’ sees speakers from Google, Freeview Australia, DMC and DTG discussing the myriad disruptions currently facing broadcast on all fronts, from IP-only delivery to personalised user experiences, while the series of Tech Talks on Sunday 17 September also features several must-see sessions that step further into the future. We’ve come a long way since 1967; maybe this year’s IBC will give us a glimpse of what the next 50 years will bring.